If you are getting serious about making money from your work, there is so much to consider. Let us help you with some of the basics! Contracts, pricing, and client communication are are foundational to starting your side-business. 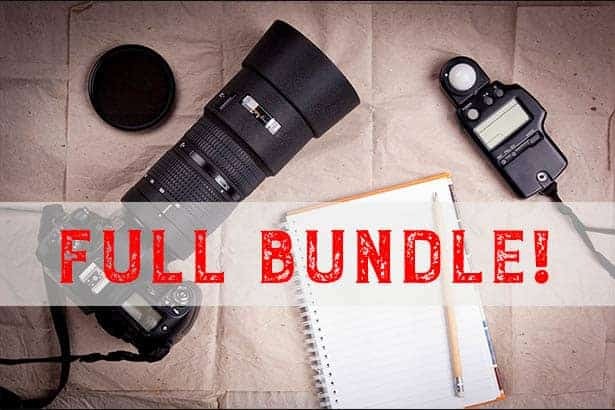 The COMPLETE business bundle is only $29. Click here to purchase. WHAT'S INCLUDED IN THIS BUSINESS BUNDLE? Audio Guide to Pricing Your Photography – This is an audio success guide to pricing your photography. I interview 3 successful full-time photographers and dig into exactly how they price their work, what type of clients earn them the most money, how they got their marketing ramped up to drive business, etc. Each success interview is approximately 45 minutes long and you'll receive it as an MP3 so you can listen on your phone or computer while you work out, shop, drive, etc. It'll really get you motivated to build your photography business. Price list template – This document gives you a jumping-off point to pricing your own services. Price lists included are for: Portrait Packages, Wedding Photography, Corporate Headshots, Product Photography, Real Estate, and Event/PR Photography. Obviously, your prices need to be set by you, but this provides a helpful template for making your own pricing. Email Templates – These templates cover common client situations such as pricing inquiries, preparing for a session, and what to say if your pricing has changed. Using templates will save you time and prevent you from over-analyzing your responses. Plus, less time in front of your computer means more time to shoot! Long-form general photography contract – This is suitable for baby, senior portrait, engagement, and family shoots. It covers all your bases in explicit detail. Short form general photography contract – Let's face it. No client likes to get a super long contract that makes them sign away every human right they've ever had. And you don't want to have to fill out a million boxes just to book a simple shoot. This contract is the shortened version of the general contract for simple photography shoots where a huge contract isn't necessary. Model release – I can't stand most model releases. They are SOOO long and make the model fill out SOOO much information that it takes forever and frankly isn't necessary. You can cover yourself and get a legally binding model release much simpler with this contract. However, I would recommend using one of those very long and annoying model releases if you are shooting a celebrity or another very high-risk shoot (celebrities are magnets for law suits). Real estate photography contract – Real estate photography is quite different than most portrait photography, so it has its own contract. Wedding photography contract – Since weddings are usually a higher-dollar shoot and involve many more complicated parts, my wedding photography contract is much better suited to a wedding than the general contract. Photo licensing agreement – This is the contract that few photographers bother with, but is CRITICAL to have! When you sell a photo to a company for use on a website, or you allow a photo to be used commercially, you NEED a good photo license agreement that spells out exactly how you're allowing the company or individual to use your photo. Second shooter contract – If you ever have a photo assistant, you absolutely MUST be clear as to what photos they own, and how they can use the photos from the shoot. You also need to be clear about how much you pay them, what they can and can't do, and how they should deliver the photos to you. This is another one that photographers often skip over because they don't have a contract written yet, but it's a critical contract to fill out. IMPORTANT LEGAL NOTICE: By purchasing this product, you understand and agree that Improve Photography LLC is not a law firm and no part of this transaction constitutes legal advice. These contracts are offered merely as templates which you must customize for your situation and to match applicable law in your jurisdiction. Jim Harmer is a lawyer but is not your lawyer, and you should seek individual legal advice from a licensed attorney in your jurisdiction before making important business decisions such as writing a legal contract. This is provided merely as a template for you to adjust to your needs. Are the contracts legally binding? There are a lot of shoddy contracts available on the internet, usually written by bloggers who have absolutely no idea the type of meticulous language that needs to go into a contract. That can spell DISASTER for a photographer. Worse yet is a contract written by a lawyer who doesn't understand the common issues that photographers face. Since I'm both a full-time photographer and a licensed attorney, I think I'm in a unique position to provide you with the ULTIMATE contract package for photographers. The key to any good contract is simply to explain in ABSOLUTELY CLEAR fashion what each party to the contract is expected to do. Therefore, it would be foolish to take these contracts exactly as they are written and implement them directly into your business. I have carefully written these contracts to work in many situations, but you need to go in and customize them to fit what you do. For example, I always ask for a 50% deposit when booking a shoot. If you do things differently, you'll have to go into the contract and change that to be the amount you ask for as a deposit. I included the written files in docx format as well as PDF. This way, anyone can access them. You can change any of the documents to fit your needs. The interviews are in MP3 format so you can download them and listen to them anywhere, anytime! Why are you selling all of this for $29!??!?!?!? When I set out to create Improve Photography years ago, I determined that one of my missions was to keep training and other products for photographers at a reasonable price. Money doesn't grow on trees at my house either. I want good, solid resources to be within the grasp of ANY photographer. We looked around and found the going rate for JUST good email templates is around $50!